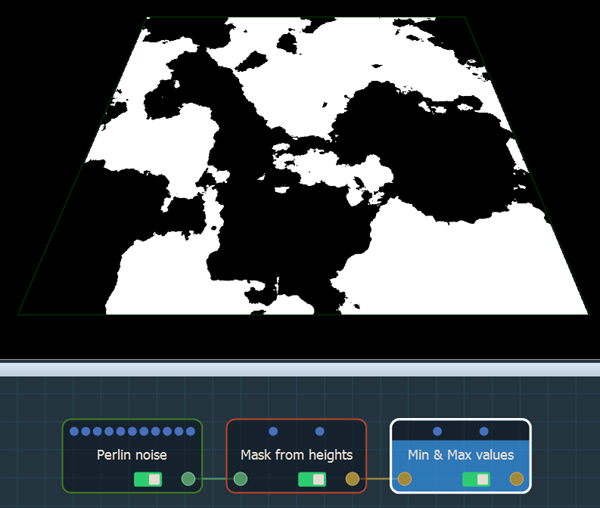 This node sets the minimum and maximum values of a mask. To add a Min & max values node, right click in the Graph Editor and select Create Node > Mask Transformation > Min & max values. 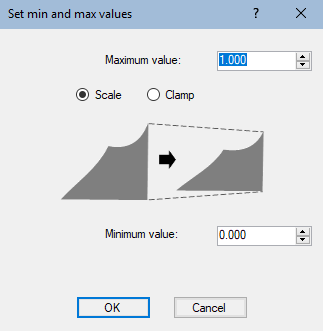 Two modes exist to set the minimum and maximum values: Click on either the Maximum value or Minimum value radio button to select a mode and edit the output mask. 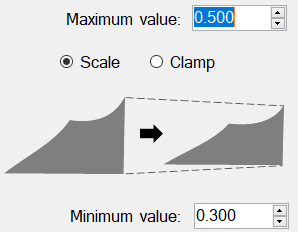 Scale mode: All mask values are scaled according to the new minimum and maximum values. The advantage of this mode is that you can change all the minimum and maximum values of your mask without going back through the previous nodes. 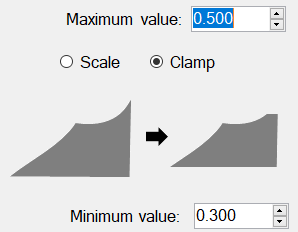 Clamp mode: This mode constrains all values that exceed a certain value to the same value. Values lower than the minimum value are raised to the minimum value. Values higher than the maximum value are lowered to the maximum value.